In the aftermath of the Second World War, Russia attempts to take control of Berlin by cutting off access to the West but an audacious plan to supply the beleaguered city from the air is mounted. One special American pilot becomes famous amongst the people of Berlin. 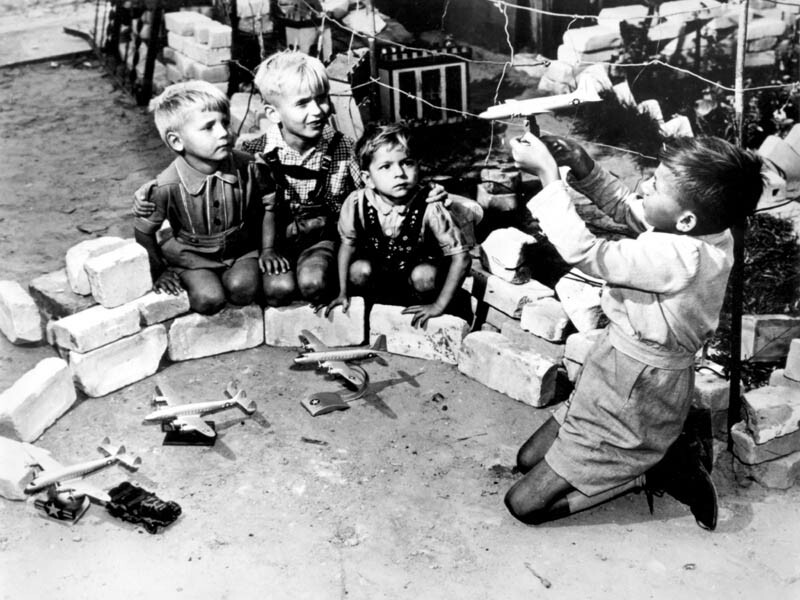 Berlin youngsters who live near the Tempelhof Air Force Base, where the U.S. Air Force transport planes unload their airlift supplies, play at a game called “Luftbrucke” (air bridge). They use model American planes which are sold in German toy shops throughout the western sector of Berlin. 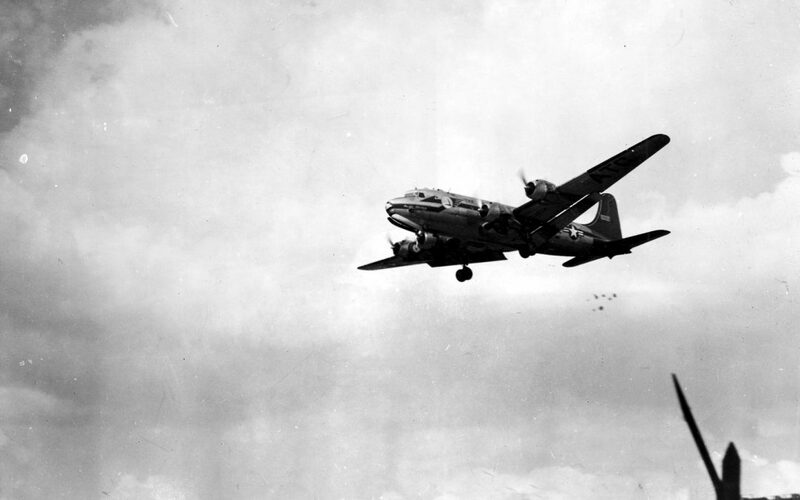 Images under Creative Commons licence by US Gov, National Museum of the USAF.